Portrait of my niece, Anna. This painting came together in an evening. I rarely paint the face in complete shadow, but this composition is an exception. 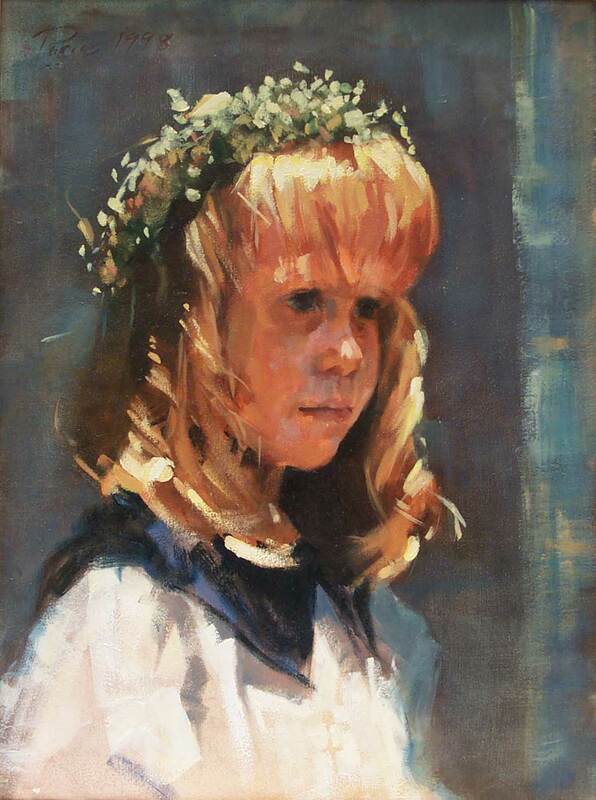 The sunlight hitting her hair and the small touch on her nose, set an amazing mood for the painting. This painting was selected for inclusion in the 1998 Art In the Woods Exhibition in Overland Park, Kansas; the 2003 Artists For the New Century exhibition in Bennington, Vermont; and the 2003 Northern Colorado Artist Association National Juried Exhibition in Loveland Colorado.